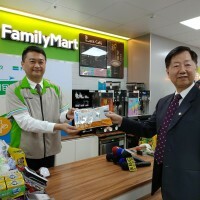 TAIPEI (Taiwan) — A FamilyMart customer has become the lucky recipient of the November-December uniform-invoice (receipt) lottery special prize. 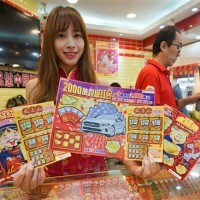 Apple Daily reports the winning ticket came from a NT$60 purchase of own-brand potstickers made at a FamilyMart store in Taipei’s Beitou District (台北北投區). The lucky recipient will be able to claim their NT$10 million (US$325,000) from Feb. 5. 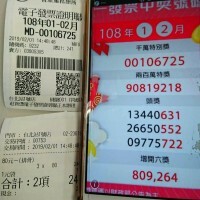 In addition to this, a secondary prize of NT$2 million was won after a purchase at a FamilyMart store in Kaohsiung. Three more prizes of NT$200,000 have been won at other outlets around the country, including two individual purchases of ice-cream and a NT$3 photocopy, the report states. The winning numbers were announced today (Jan. 25) and can be found here. 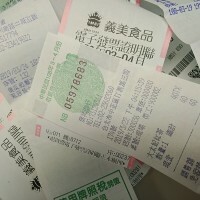 Winners are reminded cash prizes can no longer be redeemed from Chunghwa Post branches as of Dec. 28. Larger and smaller prizes can still be claimed at several banks, and as of this month, fifth and sixth tier prizes can be redeemed at any major convenience store.